Duke is the new home Caberg helmet opening 100% made in Italy by the attractive design and innovative technical solutions. Duke is the new home Caberg helmet opening 100% made in Italy by the attractive design and innovative technical solutions. 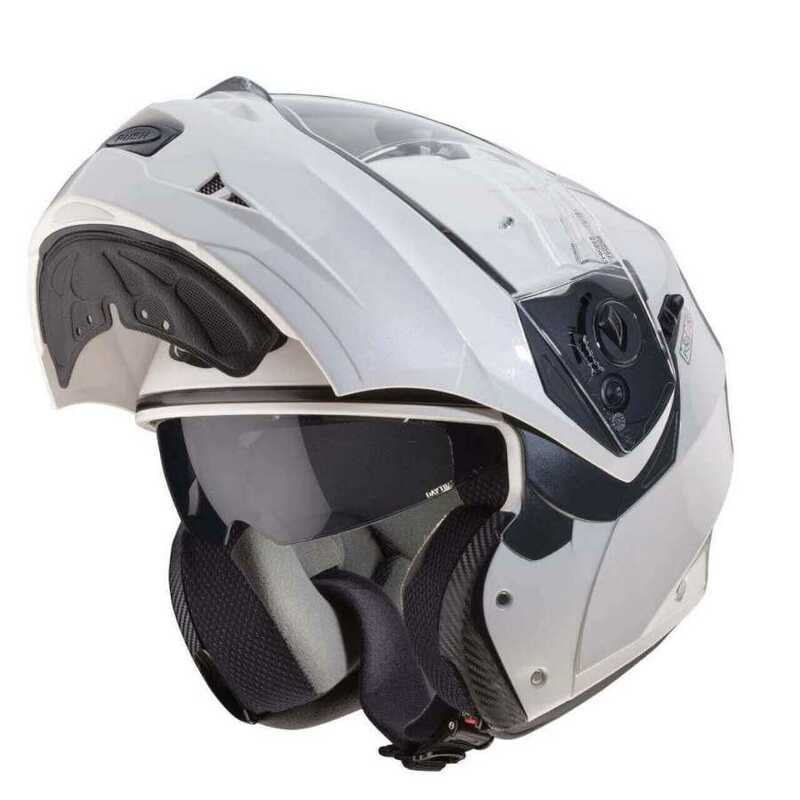 Result of experience gained from the first Italian company to have produced flip up helmet, the new Duke has the double approval P / J, which also allows you to drive more safely with chin raised to the selector position on the left side of the helmet in position J, the chin lock in the fully open position, thus avoiding the accidental closing of the same. 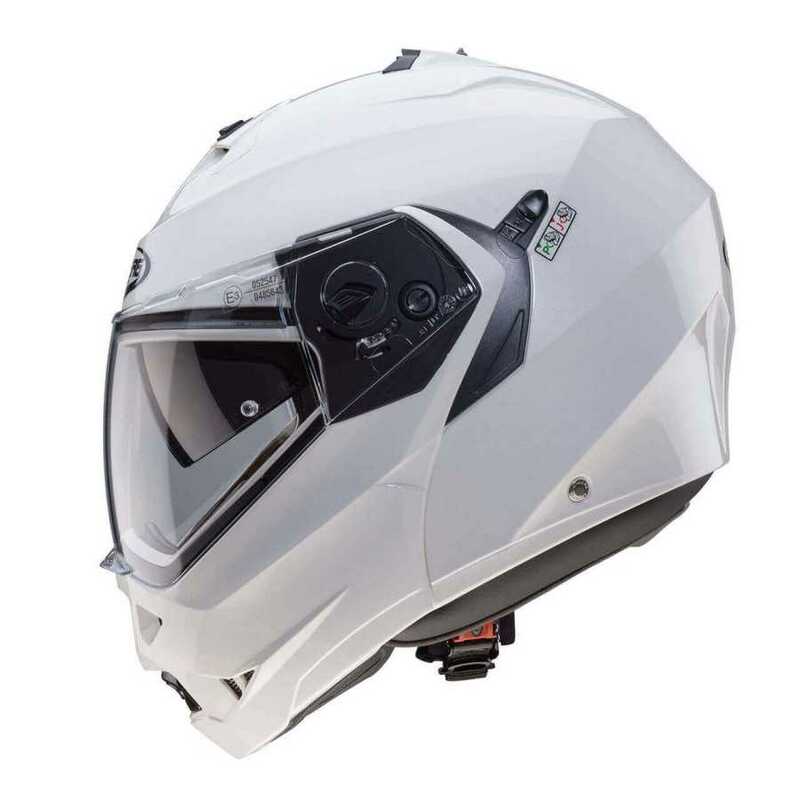 Due to the small size of the helmet, the weight of the new Duke is only 1550 + -50 gr. Duke has the exclusive system DoubleVisorTech thanks to a sun visor integrated easy to use, allows always to ride with the perfect light and with maximum security. 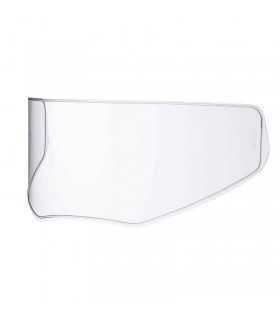 The sun visor is resistant to scratches and the clear one to scratch or tarnish but also thanks to the double lens lock pin. The ventilation is guaranteed by two large air vents positioned easy to maneuver on the chin and on top of the dome through a series of internal channels ensure a good air circulation inside. The interior is completely removable and washable rear reflective inserts, made with breathable fabrics and hypoallergenic to ensure maximum freshness and hygiene. Duke is offered in four versions, one color: white metallic, black metallic, matte black and charcoal in addition to SMART black unpainted version. In addition to the monochrome versions, the new Duke is also offered in the sports version BOOSTER about sottovernice graphite on white base. Inside the new Duke can be housed JUST SPEAK EASY communications system that lets you communicate not only with your phone and your passenger, but also to connect to a GPS and listening to music through the phone or an MP3 player. JUST SPEAK EASY is equipped with Bluetooth A2DP profi le that allows you to listen in high stereo quality. Technical features: ■ Outer shell: Polycarbonate ■ Inside: Fully removable and washable santized treated with a reflective back. 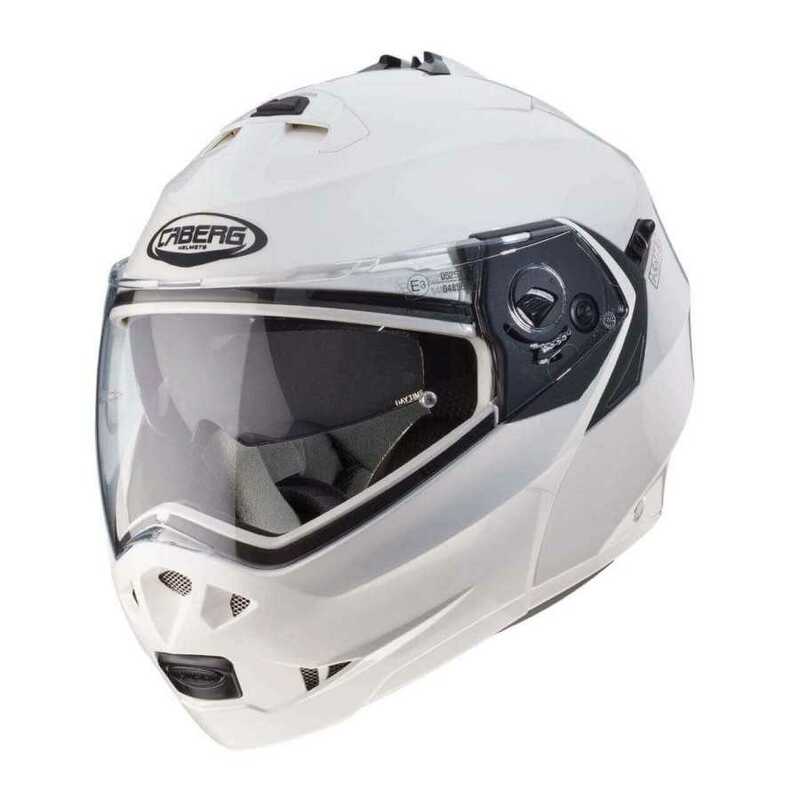 Stop Wind removable chin guard ■ Ventilation: chin guard vent to prevent condensation on the visor ■ Adjustable top vent for better air recycling ■ Visors: Double Visor Tech Anti-scratch clear visor Anti-scratch visor ■ Retention System: Micrometric buckle ■ Homologation: ECE 22.05 P / J ■ Weight: 1550 gr. + / - 50 gr.